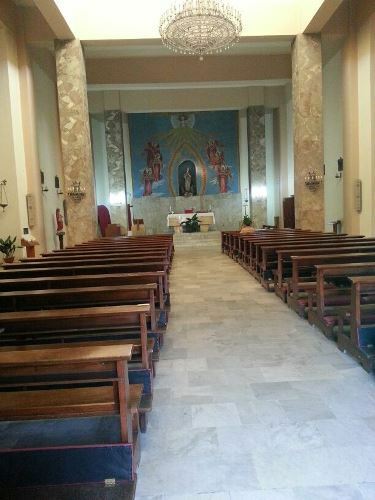 French thaumaturge Saint Roch is honored in Palmi (via San Rocco, 42) where this church is dedicated to him. The festivity in his honor is held annually on August 16. 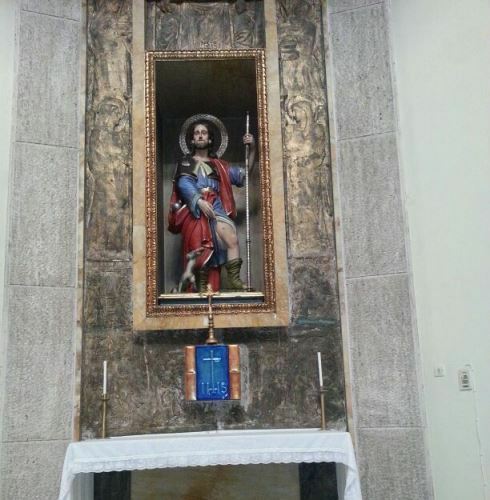 The statue placed in the church shows Saint Roch lifting the selvage of his habit in order to show the sign of his illness on the left thigh. The golden medallion around the Saint's neck which contains the relics of the saint, the golden cross on the left chest and the shell on the right side all adorn the statue. 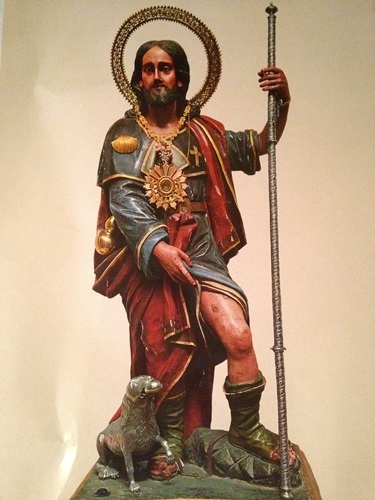 The lime statue of Saint Roch was made in XVIII century but up until now the author in unknown. 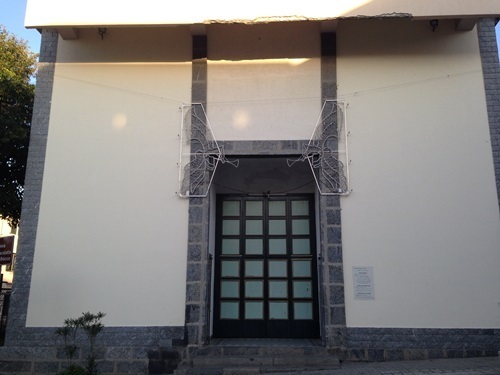 The piece of art was restaurated in July 2006 by Grazia dei Tripodi.